This Demonstration shows a construction of a triangle given its circumradius , inradius and the difference of the base angles. Step 1: Draw a line segment at an angle from to meet at . 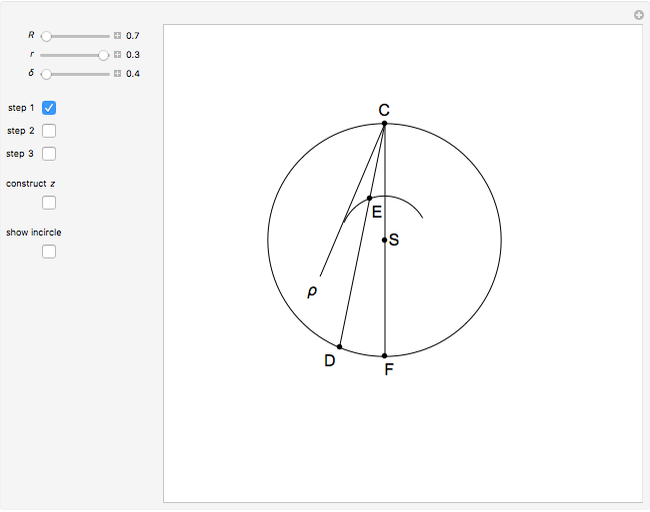 From , draw a ray at angle from . Let be on at the Euler distance from , where . Step 2: Drop a perpendicular from to at and let be on such that . Step 3: The points and are the intersections of and the perpendicular to at . By construction, is the circumradius of . Theorem: Let be the circumcenter of a triangle . 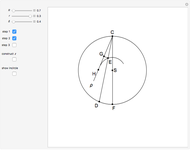 If , the angle between the angle bisector at and is . 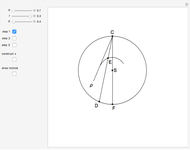 By this theorem and the construction of , is the angle bisector at . 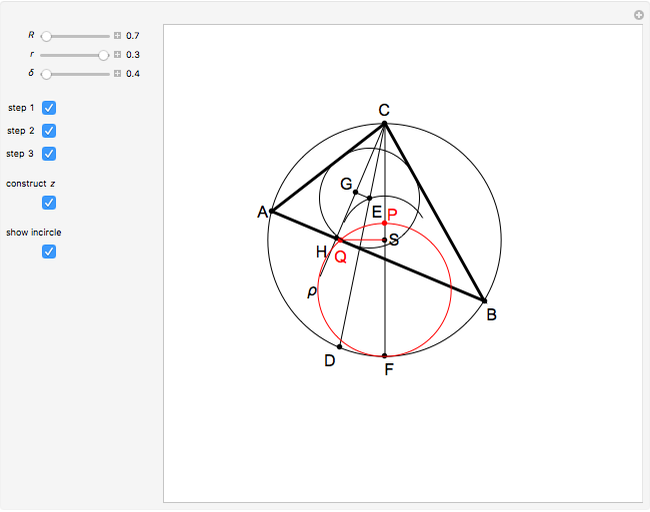 Therefore by Euler's triangle formula for , is the incenter of . Since is parallel to and , the distance from to is also and the incircle has center , radius . By step 1, . The theorem states , so . The distance is the geometric mean of and , that is of and . Izidor Hafner "16. 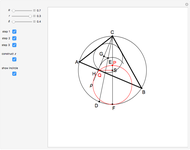 Construct a Triangle Given Its Circumradius, Inradius and the Difference of Its Base Angles"